Assisting you to make an informed decision. If you’re looking for high quality service and care, you’ve come to the right place. At Marco Island Home Inspection we’ll give you the attention and personal service you expect and deserve. Inspection & Report emailed from the inspection ! You will have your Home/Condo Inspection scheduled, and completed report within 24-48 hours! We compose your inspection report on site, review the inspection with you and answer any questions you have. We will then email the report to you immediately! Marco Island Home Inspection has been proudly serving the needs of clients since 2002. We are licensed by State of Florida Department of Business and Professional Regulations. We use only state of the art equipment when performing an inspection such as a pinless LCD moisture meter to keep from putting holes in walls and ceilings when check for moisture as well as a thermal imaging camera. The thermal imaging camera has a wide range of uses during a home inspection. Our state of the art drone helps us to view and take photos of roofs especially on two or three-level dwellings. Our inspection reports are easy to read. Page 3 of our report is a summary page which has all of the items that do not operate properly on it making it easier for the buyer to make decisions. We use photos in our report to make it easier for the buyer, realtors and lawyers to understand the issues. If you have any questions please call me at 239-389-2612. Why get a Home/Condo inspection? ​My job is to work for you! We have your best interest in mind, not the seller’s. I assist you in making an informed decision about buying your home/condo by inspecting it for you and letting you know a range of problems with the property and all that applies therein. What is inspected in a Home Inspection? A condo Inspection would not include the exterior items. These items are the responsibility of your Condo Association. What type of report can I expect? ​We will provide you a narrative report. This report describes operational/non-operational items in each room. We include cosmetic issues, which are caused from normal wear & tear of a home/condo, in the body of the report. All the "not operating properly" items are printed in bold letters for easy reading. We also provide your realtor and you a summary page of all items “not operating properly”. It is important you read and understand the entire report. We also include photos, as needed, to aid in communicating any issues. 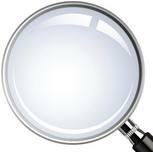 You can see a Sample Home/Condo Inspection Report, click on the above "Report" tab. What other inspections should I order? On a Condo the Home Owners Association is usually responsible for the exterior areas. For a Home Inspection you are responsible for the interior & exterior areas. We recommend a Termite Inspection for $50.00. (This will be done by a licensed pest control company) This is a small fee for peace of mind. For a list of all our other types of inspections & prices, click on the above "Types & Price" tab. ​If we can answer any questions or help you in any way, please don’t hesitate to call or email me (239)389-2612 or mihi3@comcast.net.